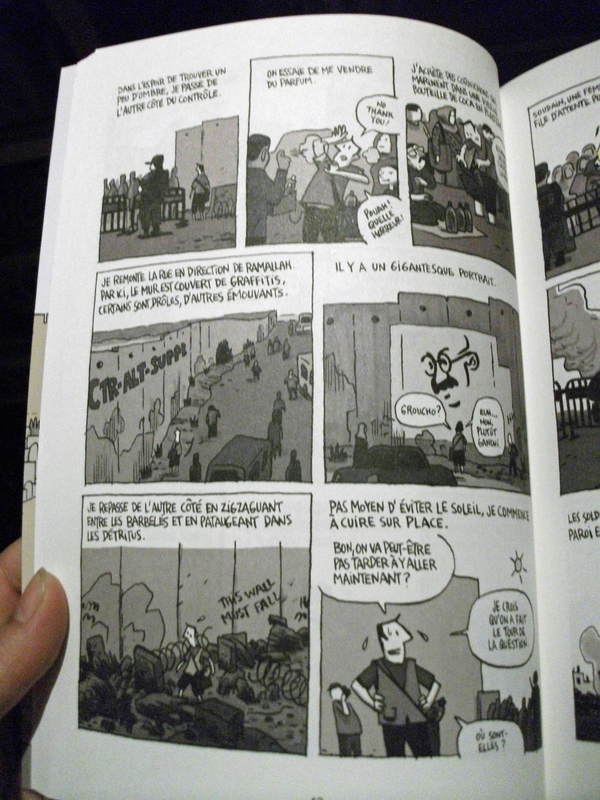 211 Bernard: Chroniques de Jerusalem en magasin! 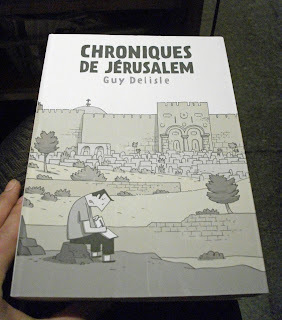 Chroniques de Jerusalem en magasin! 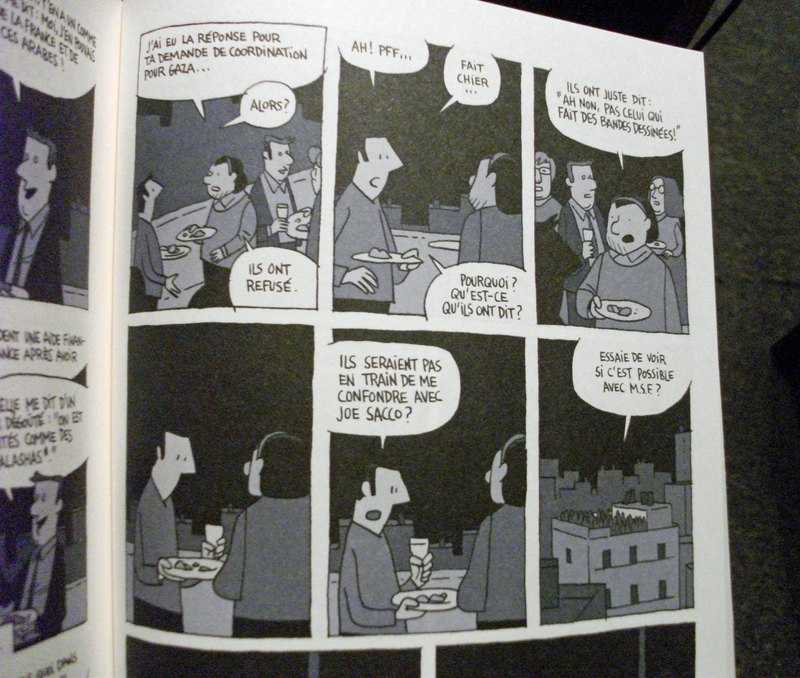 Okay, so, new Guy Delisle time is very exciting. 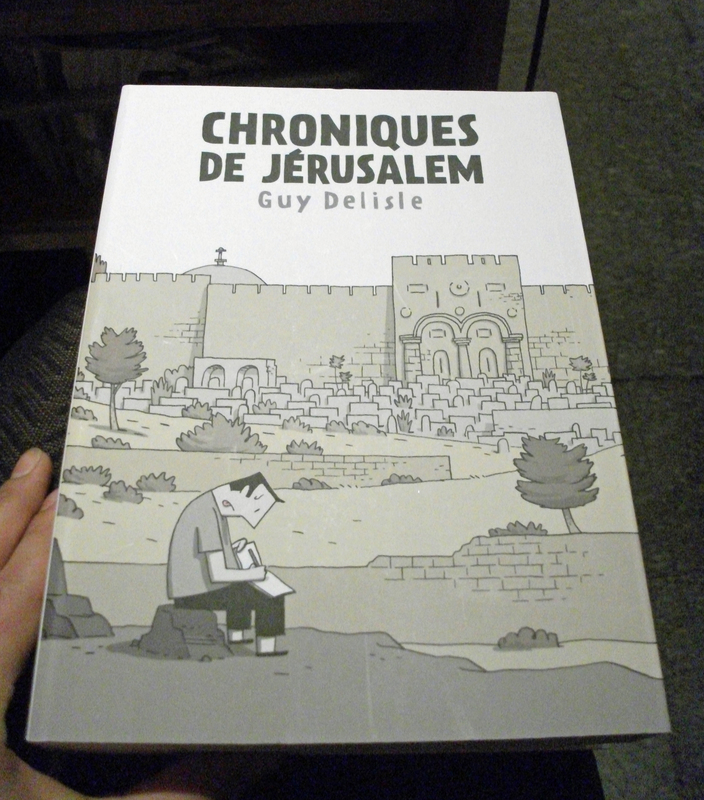 Guy's newest book, Chroniques de Jerusalem, is about the year he spent in Jerusalem with his wife and kids. As you may know, Guy's wife Nadege works for MSF as an administrator, and was posted to Jerusalem from August 2008 to August 2009, which means they were there for the short-but-brutal Gaza War. 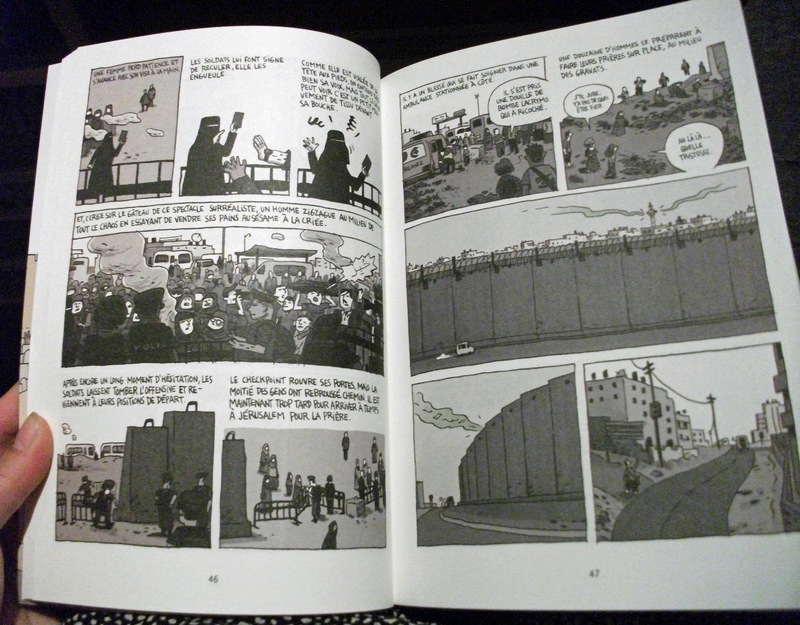 Chroniques de Jerusalem is Guy Delisle at his best -- he makes keen observations, takes beautiful sketches of the countryside, and tackles the fraught situation in Israel-Palestine with humour, sensitivity, and compassion. I'll let you see for yourself, though. 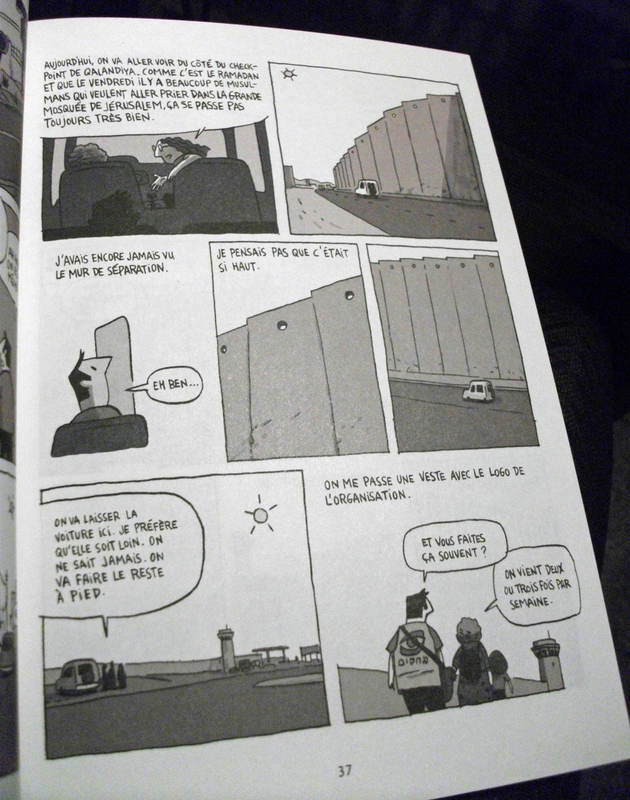 Here are a couple of extracts about his experiences at checkpoints and seeing the Israeli West Bank Barrier for the first time. Also sometimes he is rejected from entering Gaza because maybe the Israeli authorities are confusing him with Joe Sacco? 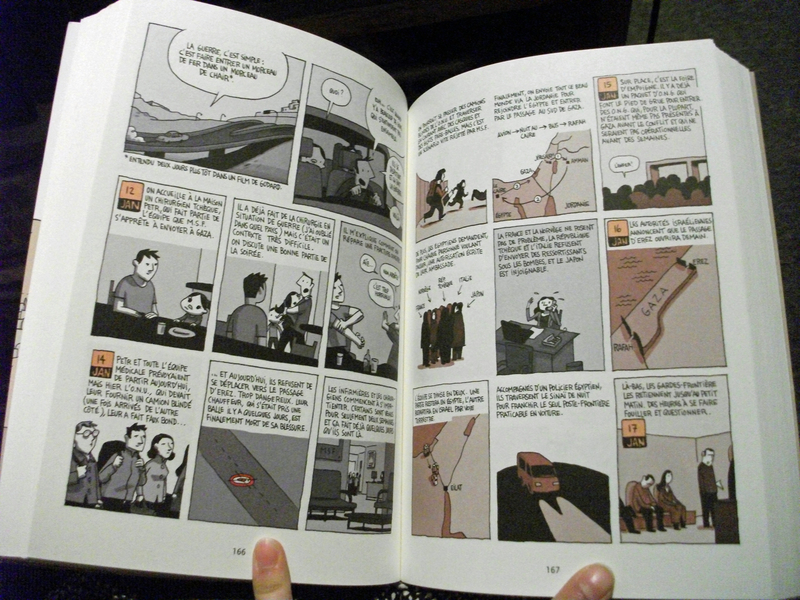 Did I mention how gorgeous the use of colour in this book is? Finally, for those who prefer a few less accent aigus, Chroniques de Jerusalem will be published in English by D+Q next April, and I hear whisperings of a North American tour. Hurrah!